Yoga could be thousands of years old, as is traditional martial arts, sure, but needs of our ancestors from waaay back then might have been vastly different than our needs today … while the underlying human struggles and suffering remain the same: we get sick; we get hurt; we experience loss; we will all die and no one is exempt (did I depress everyone? ), it is what it is – or is it? Yoga allows you to question – if there’s another way. 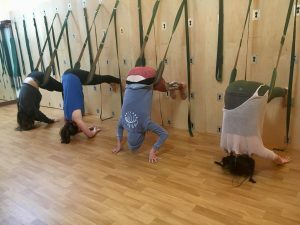 So while the basics of humanness remain the same … back at the early stages of yoga practices, there may not have been any of all this sitting around, hours on chairs looking at screens …there were no processed foods; there were no …. (fill in the blanks); and in return we have today all these modern conveniences and medical advances … would the practice that served our ancestors serve our needs the same way today? So today’s yoga is the evolution of all that has come before us. It keeps changing while the basic philosophy and tenets remain rock solid. It’s up to us to find and develop a practice that’s suitable to our own unique body bone structure, our own needs reflecting our age and condition … our own intention for getting on this mat today. Challenging ourselves help us grow but when what we are looking for is healing at every level, the practice starts to look a little different. 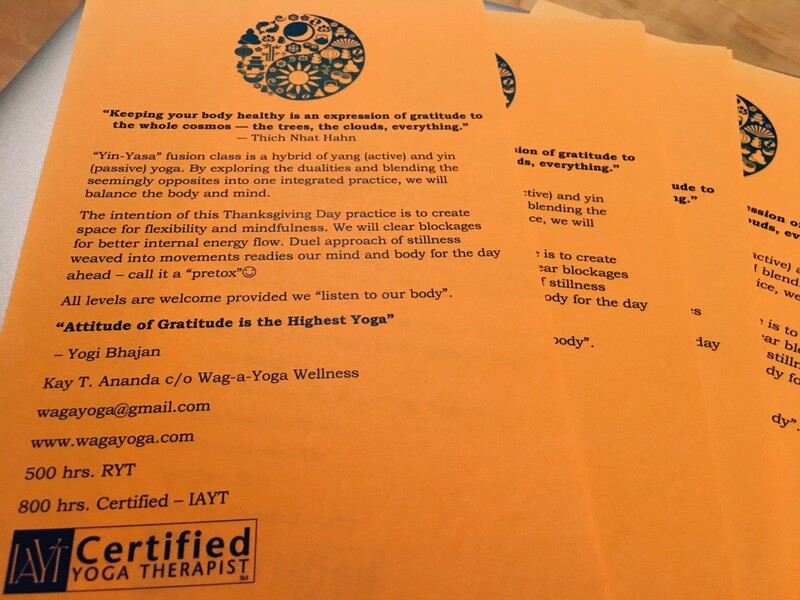 of the teachings and practices of yoga. changing phenomena of the empirical world. system that includes all aspects of body; breath; and mind, intellect, and emotions and their mutual interaction. mudra, ritual, and a disciplined lifestyle. 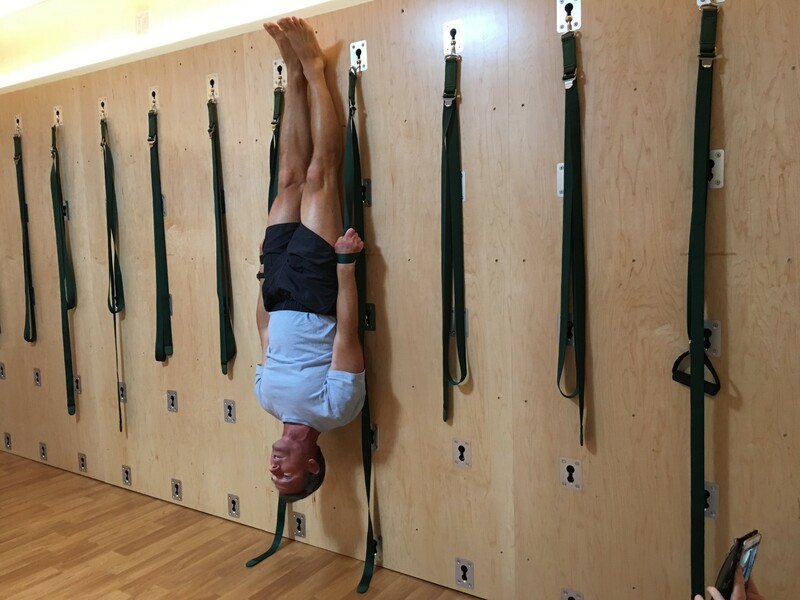 Fully supported inversion where you feel …weightless … thanks to Jason Cull, Yoga Therapist, Yoga Wall TT teacher 🙂 Humble and yet thorough in his teachings … a yogi that he is. Subbing for beautiful Lorraine tomorrow night – Pure Yin:) I love Vinyasa as that’s my practice, the core; but Yin is my roots:) Thank you for the opportunity.